The New York Times bestselling, hilarious tale of Mary Karr’s hardscrabble Texas childhood that Oprah.com calls the best memoir of a generation. 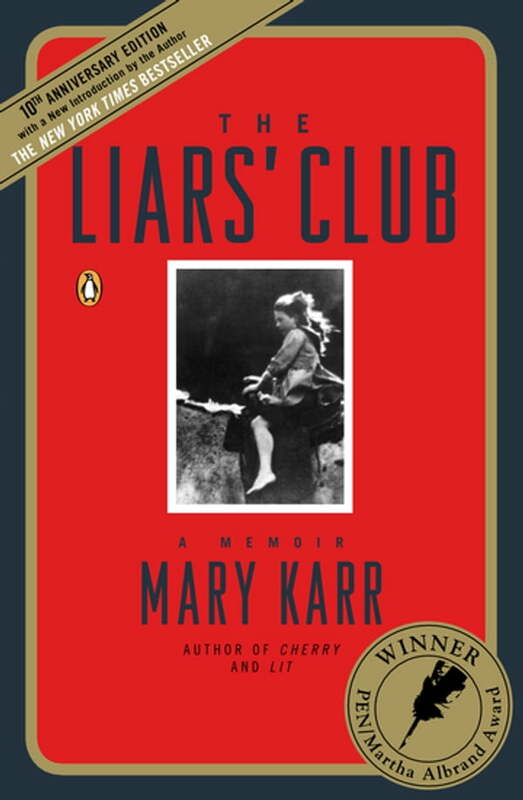 The Liars’ Club took the world by storm and raised the art of the memoir to an entirely new level, bringing about a dramatic revival of the form. Karr’s comic childhood in an east Texas oil town brings us characters as darkly hilarious as any of J. D. Salinger’s—a hard-drinking daddy, a sister who can talk down the sheriff at age twelve, and an oft-married mother whose accumulated secrets threaten to destroy them all. This unsentimental and profoundly moving account of an apocalyptic childhood is as “funny, lively, and un-put-downable” (USA Today) today as it ever was.